My video partner must be working around the clock as he prepared a blizzard of videos for release starting November 1st. As you see in the list below, 20 videos will soon be available. I hope you’ll enjoy them. Besides giving you info on various aircraft to see at the event, we hope to encourage you to attend DeLand #2. Videos are great and in them we try to ask the questions you would ask and to show you things you’d look for if you attended. Good as videos are, nothing substitutes for you being present to ask and look yourself. I hope you can. Videoman Dave and I will be on-site all three days of the event. We will likely be a blur in motion dashing from one fetching aircraft vendor to another to gather more article material and video interviews. We also hope to record more Video Pilot Reports, as we did last year. Hours all three days are 9 AM to 5 PM. General admission for adults costs $20 each day, or $40 for a three-day pass. Lower prices are available for youth aged 11-17 and kids under 10 get in free. The entrance and free parking for DeLand Showcase are off Industrial Way on the northwest side of the airport. Here’s the posting schedule for the gusher of videos you can watch. All these aircraft are expected at DeLand. Nov. 1, 2017 5 a.m. Tecnam Astore — Tecnam’s low wing update that celebrated the 65th anniversary of this leading Light-Sport Aircraft producer from Italy. Tecnam is likely the world’s leading producer of these aircraft and Astore is one of their newest. Nov. 1, 2017 6 a.m. Zenith Aircraft — The 25-year-old kit company’s CH 750 Cruzer is the speedier version of their ever-popular CH-701 and CH-750 models sometimes referred to as the Sky Jeep. It may not be shapeliest light aircraft but it can get out of the shortest airstrips. Nov. 1, 2017 7 a.m. Aeroprakt A22 — From Ukraine comes one of the great bargains in light aviation with prices well below $100,000. The aircraft is also obvious for its major use of clear panels that assure wonderful visibility. Take the yoke and see for yourself. Nov. 1, 2017 8 a.m. Aerotrek A220 A240 — The steady-Eddie of the LSA segment may be Aerotrek run by the ever-affable Rob Rollison. Through up years and down, Rob sells Aerotrek tricycles or taildraggers on a sane, predictable schedule that buyers appear to prefer. Nov. 1, 2017 9 a.m. AutoGyro USA — One class of aircraft buys more Rotax 9-series engine than any other and by a good margin. That class is gyroplanes and AutoGyro is the largest producer. Now, Andy Wall is bringing the brand to America with a fresh, new look. Nov. 1, 2017 10 a.m. Beringer Wheels and Brakes — Everyone likes get up and go but at the end of a flight you have to get down and stop. Beringer has leading expertise in abundance and offers beautiful, versatile systems to help you roll and brake smoothly. Nov. 1, 2017 11 a.m. Ekolot Topaz — If Topaz has not caught your eye yet, you are in for a visual treat. Ekolot’s smooth composite Topaz is as nicely appointed as they come and flies pleasantly to boot. Here’s one that deserves your attention. Nov. 1, 2017 12 p.m. Evektor Harmony — Harmony follows Evektor‘s SportStar, which will always enjoy the distinction as the very first Light-Sport Aircraft to win FAA acceptance. Harmony takes the highly evolved SportStar to a whole new altitude as one of the sector’s best engineered aircraft. Nov. 1, 2017 1 p.m. Flight Design CTLS — For nearly every year Light-Sport Aircraft have been for sale, Flight Design‘s CT-series has lead the sales rankings and for good reason. It’s fast, roomy, clean and smooth, and superbly equipped. At DeLand 2017, come meet the new group managing this venerable brand. Nov. 1, 2017 2 p.m. Groppo Trail — A lot of handsome airplanes originate in Italy, known for its stylish invention. Groppo’s Trail is more the rough-and-ready version able to take on less improved airstrips. Now it’s available in tricycle gear or taildragger form. Nov. 1, 2017 3 p.m. Just Aircraft SuperSTOL — Just Aircraft was already well known for their popular Highlander but when designer Troy Woodland sharply upped the ante with SuperSTOL, eyes at airshows everywhere turned to watch this outstanding performer. Seeing is believing. Nov. 1, 2017 4 p.m. KitFox Light Sport Aircraft — One the industry’s most familiar shapes is that of Kitfox, whose several models bear the original appearance even as the current company continues to refine and improve their models. Their airshow models are always superlatively finished. Nov. 1, 2017 5 p.m. SuperPetrel LS — This is one you tend not to forget as it is a very rare biplane seaplane. 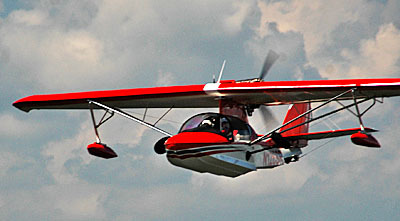 While it may have a unique look, it works as well on water as any light seaplane model I have flown. The Brazilian company has a base in Florida, not far from DeLand. Nov. 1, 2017 6 p.m. Pipistrel Alpha — This Slovenian company is known for their smooth, slender (and long) winged models made entirely of composite structures. Alpha is their most affordable model and you should look it over carefully. Nov. 1, 2017 7 p.m. Powrachute Powered Parachute — Powered parachutes offer one of the best viewing platforms in all of light aviation. 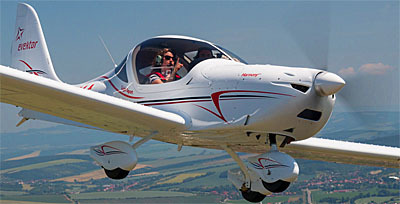 They are also easy to fly and have the lowest hourly requirement to get a Sport Pilot license. Powrachute is the biggest supplier and their models warrant careful examination. Nov. 1, 2017 8 p.m. Progressive Aerodyne SeaRey — We enjoy several great LSA seaplanes but only one boasts a long track record with a large fleet and that is Searey. Made in kit form only for years, you can now buy one ready-to-fly. Searey is made near DeLand in Tavares, Florida …right on a lake, of course. Nov. 1, 2017 9 p.m. REV Part 103 Legal Ultralight Trike — Among trikes available, the most deluxe and finished model is Revo from Evolution Trikes. 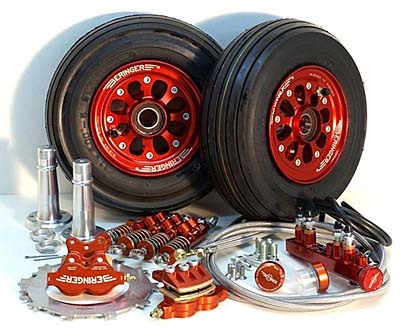 However, this Florida company also made the fabulous Part 103 Rev for those on a budget or just look for solo fun in a well-made trike. Nov. 1, 2017 10 p.m. RV-12 light sport — From the world’s largest producer of kit aircraft, Van’s Aircraft can now offer a fully built Special LSA RV-12 version through a collaboration with longtime kit-building partner, Synergy Air. 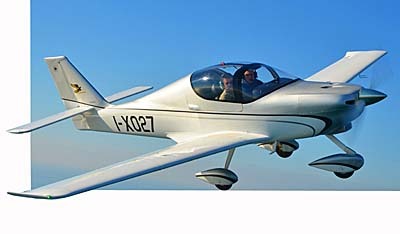 Most RV-12s have been sold as kits, at which Van’s is deeply experienced. 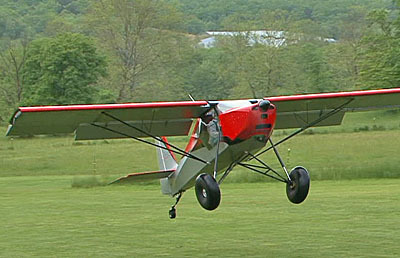 Nov. 1, 2017 11 p.m. Sling Light Sport Aircraft — The Airplane Factory-USA represents the Sling models, including the two seat LSA model and a four seat Sling 4 model that is built as a kit. Both fly wonderfully and have proven themselves uniquely by flying around the world, multiple times. Nov. 1, 2017 12 p.m. SportCruiser — Known to the general aviation crowd as the PiperSport (thanks to a brand they know well), SportCruiser was before and has been since Piper’s involvement a good seller under its original name. Catch all these videos anywhere you like, but even better, make plans now to attend DeLand Showcase 2017. The weather has cooled from summer heat but it should still be in the high ’70s, low ’80s so it should be a great time to look at airplanes and other gear. As you enjoy all these free videos, I encourage you to visit Videoman Dave’s YouTube channel and click here to support the work. You can see most of these videos featuring Dan Johnson right here.